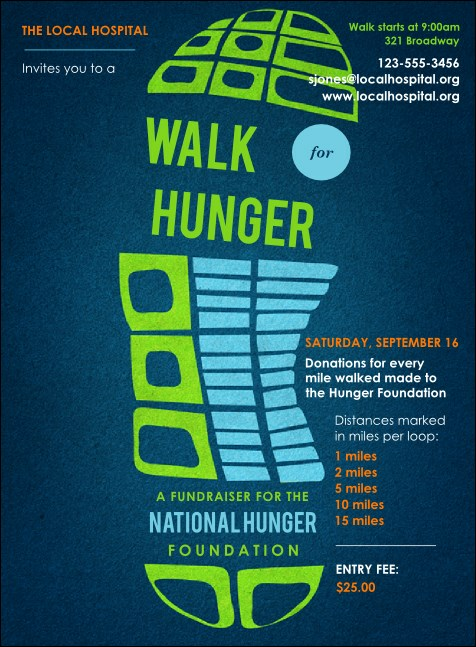 Invite fans of fitness and fundraising when you send out the Walk Invitation before your next charity event. Printed on high quality card stock, this colorful invitation has a strong indigo background with a track from a running shoe in bright blue and green. The template includes plenty of room for your event information, so everyone is on the right path. Move toward more RSVPs with the right invitation from TicketPrinting.com.